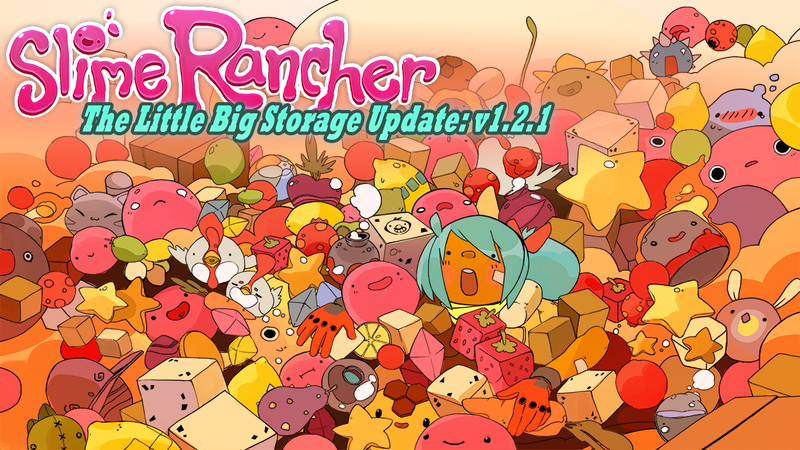 Monomi Park Forums • View topic - The Little Big Storage Update is Here! The Little Big Storage Update is Here! - Silos and warp depots now accept ornaments and echoes. - Silo and warp depot slot capacity increased to a whopping 300 units (from 100). - Silos now have 3 storage slots per side. That’s right, we’re giving you 12 slots with the ability to hold 300 items each. You do the math! - Unlinked Steam achievements from in-game achievements to better support the case of multiple people sharing a machine and playing the game on two different Steam accounts. - Resetting in-game achievements will no longer reset Steam achievements. - In-game achievements will no longer sync when starting a new game on Steam. - If you earn an achievement while having only one type unlocked (in-game vs Steam), you will now see the pop-up for the missing achievement. - Non-Rush Mode achievements will no longer be awarded while in Rush Mode. - Updated silo achievement so you won’t need to completely fill the new silos. - You got a raise! Mochi will now pay you 200 newbucks for every 10 quicksilver plorts you deliver. - Added some flashy effects to the Nimble Valley countdown animation. - Added an intro animation to the start of Rush Mode. - Coins dropped in the world are snatched up and pocketed much quicker now. - Created an innovative game save mechanism that can see through space and time to prevent confusion when ranchers time travel or access their ranch on different machines. - Made it so the map tutorial will be completed immediately upon opening the map to complete the map tutorial. - Updated some Russian in the Russian translation. - Fixed a bug where names of items stored in the vac wouldn’t translate when selecting a different language. - “Fixed” the snooze button on the ranch alarm clock so Beatrix won’t be able to sleep past 6:00AM. - Fixed a treacherous spot in the Glass Desert where you could get stuck. - Fixed a part of Mochi’s Manor where you could get stuck before you opened the expansion barrier. - Fixed a spot in the Nimble Valley where you could get stuck. - Fixed bug where radar icons would sometimes shake while moving. At least it wasn’t getting stuck! - Fixed bug where the vac would jitter while moving. - Fixed a bug where very sneaky ranchers were able to sneak quicksilver plorts off of the Valley using a sneaky arrangement of warp depots and silos. - Fixed some bugs related to the Tabby Space Program where tabby slimes were attempting to rocket to the moon. - Fixed a bug where fire slimes would (tragically) bounce (out of their troughs) with excitement when they saw Beatrix return to the ranch. - Fixed a bug where the incinerator could destroy glints. They will no longer fight fire with fire. - Fixed a bug where Mochi’s Manor icon was not appearing on teleporters. - Fixed some quicksilver slime sounds so they now sound like quicksilver slimes. - Fixed an issue where some ranchers were experiencing odd disappearances and reappearances of items and slimes in some areas on the range.